Yesterday fans got their first taste of NBA LIVE 15 with the release of a brand-new trailer. The video showcases new features such as enhanced player likeness and new body types, along with updated footwear and accessories for the 2014-15 NBA season. Fans also get to check out NBA LIVE 15 cover athlete Damian Lillard in action in this year’s game. The video is composed of completely in-game footage, and every dribble, shot, dunk and move is something fans will be able to pull off themselves in the game. 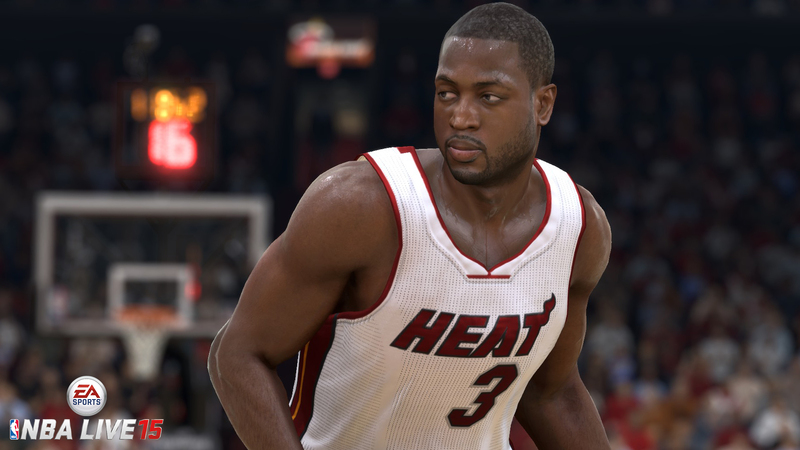 Additional info on NBA LIVE 15 will be released throughout September including in-depth details on gameplay, modes, feature improvements and more. New screenshots, blogs, videos and other assets will be posted on the NBA LIVE website, Facebook page, Twitter and other social networks. NBA LIVE 15 arrives with the most photo-realistic visuals in franchise history and 500+ core gameplay improvements delivering a truly fluid, fun and authentic basketball gaming experience. Re-imagined visuals drop you courtside alongside the game’s biggest stars. See the intensity on a player’s face as he nails a game-winner, or the frustration of a heart-wrenching loss. All-new real-time physics on dunks and layups replicate some of the NBA’s most amazing physical plays, letting you posterize your opponent or deny his attempt at the rim. Add into the mix always-connected online game modes and LIVE’s Synergy Sports partnership and you’ll never miss a beat during the NBA season with new content updated daily, all season long. NBA LIVE 15 is developed in Orlando, Florida by EA Tiburon and will be available on October 9 in Australia and October 10 in New Zealand for Xbox One, the all-in-one entertainment system from Microsoft and the PlayStation®4 computer entertainment system. To learn more about NBA LIVE 15, visit here.